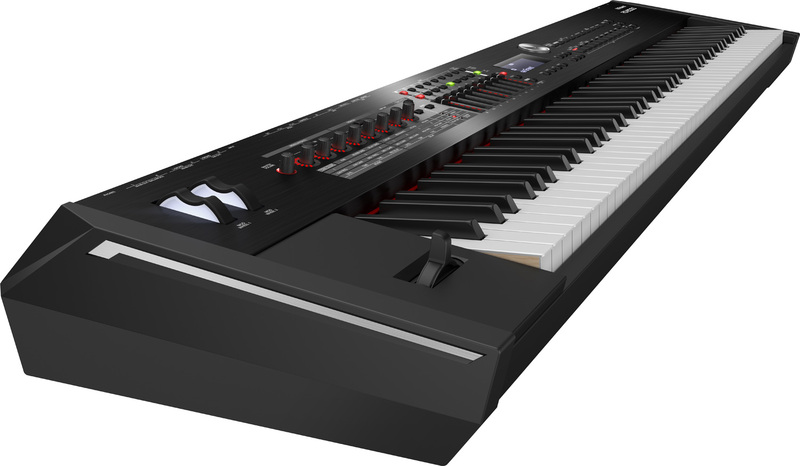 Last month’s NAMM show saw the unveiling of Roland’s flagship stage piano the RD-2000. This is a professional’s instrument with, coincidentally, a price tag of just over 2000 dollars/euros/pounds. 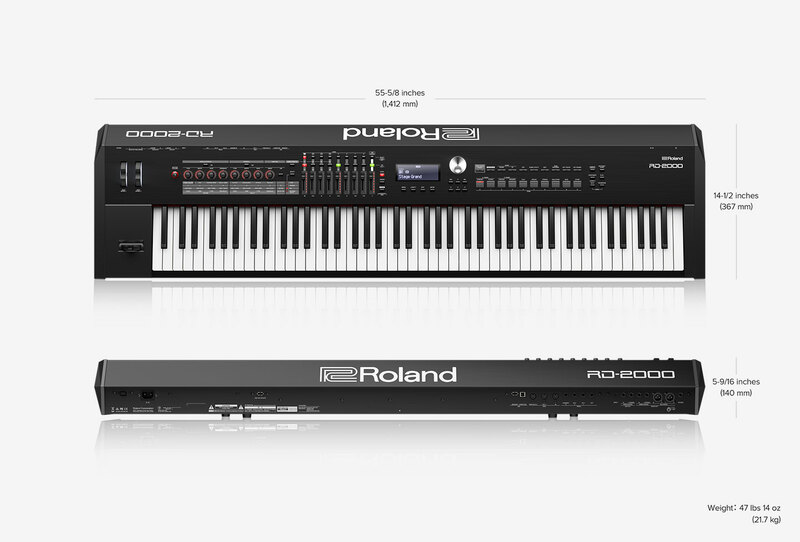 The RD-2000 utilises Roland’s V-Piano physical modelling technology as the sound engine for its acoustic piano presets. Notes are generated by pure number crunching rather than using samples. This enables each note to be perfectly rendered to produce an extremely convincing piano sound. With full-keyboard polyphony, the RD-2000 isn’t compromising. Why is modelling better than using samples? Samples are basically static ‘snapshots’, and whilst they can produce a great sound, they aren’t able to modulate or be modulated by other notes. If you play a chord on a piano then the vibrations of one string interact with those of another giving the sound an extra dimension. Modelling can reflect this – samples can’t. This is just one example of the benefits of modelling. The electric/electronic piano library is generated by a second SuperNATURAL sound engine, and includes classic pianos from the 1970s as well as all-new re-creations of the RD-1000 and MKS-20 from the 1980s. An additional set of over 1000 ensemble presets are also included. The RD-2000 utilises the PHA-50 hybrid progressive hammer action keyboard with escapement, and is designed to provide the pianist with both the feel and response of a top-end grand piano keyboard.